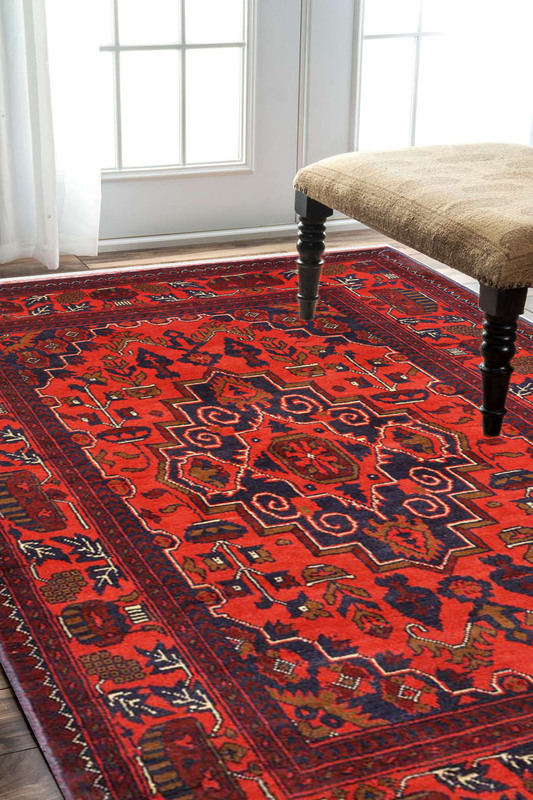 Laal Medallion woolen carpet has made in 100% pure New Zealand wool. The beautiful vibrant colors giving it a very rich look. This is ideal for living area. - Afghan design carpet is the best design to decorate any area. - This is the oldest pattern and very traditional. This is design is originated in Afghanistan. - Afghan design also won the international award which is held every year in Germany. - So it’s clear that this design is very popular design. - The main color is red. This is 100% washable rug. This is really suitable for the dining room. - It has a beautiful zigzag diamond shape in the center. This carpet has very intricate design pattern.